New York, NY (September 28, 2012) - In what has become an annual tradition, a Micronesian delegation led by President Emanuel Mori and a leadership delegation of the American Jewish Committee (AJC) met Tuesday on the sidelines of the United Nations General Debate. This year President Mori expressed his appreciation for AJC’s friendship and past support, provided updates on past projects, and outlined future challenges. He was accompanied by Secretary of Foreign Affairs Lorin Robert, Ambassador to the United Nations Jane Chigiyal, and Ambassador to the United States Asterio Takesy. FSM and AJC have a long-standing relationship, and AJC often facilitates events and meetings that strengthen the triangular partnership between FSM, Israel and the United States. Examples of AJC’s support include arranging technical cooperation for the operation of two hemodialysis units in Chuuk and organizing a 2010 trip to Israel by President Mori. The relationship between FSM and AJC was kindled and has been sustained by shared Judeo-Christian values and tradition. Because FSM is predominately Christian, many citizens develop an interest in Israel stemming from reading about the Holy Land in the Bible. President Mori stated that, for these reasons, a number of Micronesians have expressed a keen interest in visiting Israel themselves. For their part, AJC members display growing knowledge of FSM, and, to further raise awareness, it was proposed by an AJC delegate that a future AJC conference include a discussion of issues related to FSM. 43rd Pacific Island Forum Leaders Meeting opening ceremony at National Auditorium, Rarotonga, Cook Islands --- August 27 - 31, 2012. From the eldest to the youngest, the Cooks exhibited mastery and pride in their display of culture and traditions in the way they hosted the rest of the Pacific at the Pacific Forum Leaders meeting about a month ago. In this video, the young chanter won the hearts of the visitors as he conducted the chant in summoning Prime Minister Henry Punu to his rightful place at the opening of the forum. Many island cultures have similar welcome rituals for dignitaries. But, it seems almost uncommon to see young boys doing the lead role, something readily reserved for a few elders. UPGRADING WORKS IN CHUUK STATE. scope of work as shown in the plan. scope of works as shown in the plan. contracts in progress or completed, within the last three years. the physical size, complexity, methods, technology or other characteristics. 6. Bidding Documents can be obtained from following sources. that collected the bid documents and also to keep the bidders inform of any addendum to the bid documents. documents need to be posted/ couriered. 2012 at the Department of Transportation, Communication and Infrastructure in Palikir, Pohnpei State. checks will not be acceptable. with the preparation and / or delivery of their bids. FSM Information Services (September 25, 2012): On the occasion of the twenty-fifth anniversary of the Montreal Protocol, President Manny Mori, on September 19, signed the FSM Regulations that define ways for FSM to implement the purpose of the protocol. As one of the Parties to finally put the international initiative to work at home, the FSM, through the Office of Emergency and Environmental Management (OEEM), routed the regulations for public input and comment through various public media and places the past several weeks before calling on the President for final adoption. Although it has taken the FSM 25 years before implementing the protocol, Ms. Artie Aubrie, representative of the United Nation Environment Program (UNEP) witnessing the signing, said that the FSM has been playing a leading role in advancing environmental issues on the global scene with regards climate change and other environmental degradations. In a brief statement, President Mori highlighted FSM’s role in the global efforts in phasing out ozone depleting chemicals in a larger effort of restoring the unseen ozone layer to ensure a habitable planet for future Micronesians. The FSM Regulations, entitled “To protect the ozone layer in compliance with the Montreal Protocol on Substances that deplete the Ozone Layer” is accessible on www.fsmpio.fm. For more information, please contact OEEM at 320-8814 or write fsmpio@mail.fm. FSM Information Services (September 25, 2012): In a letter dated September 21, President Manny Mori extended invitation to Governor John Ehsa of Pohnpei State to participate in the upcoming FSM Development Partners Forum, scheduled for November 7-8, 2012 in Pohnpei. Since a year ago, President Mori had indicated his intention to organize a first ever forum with all development partners to discuss developmental challenges and opportunities, aiming for maximum effective utilization of aid and assistance. “The broad aim of the forum is to establish an ongoing dialog with development partners as a foundation for closer, more effective and long-term development cooperation”, the President wrote. President Mori also wrote, “With an end to Compact economic provisions on the horizon, the importance of maximizing aid effectiveness and deepening relations with our development partners cannot be over-emphasized”. The President invited Governor Ehsa to give the welcome remarks to the Forum, along with the Speaker of FSM Congress. For more information, write to fsmpio@mail.fm. the Main Branch in Pohnpei. On September 12, the Bank of the Federated States of Micronesia launched the newest edition to its operations: the Visa Debit Card and Automated Teller Machines. At the front of its main branch building in Pohnpei, the bank held a launching ceremony and a hands-on demonstration on the use of the Visa Debit Card and the ATM to a number of interested consumers, community leaders, patrons and government officials, including FSM Vice President Alik who gave an address. According to its officials, BFSM has installed ATM's at all branch locations within the FSM and has been ready to assist account holders who may wish to apply for the debid card. The new operation edition was refered to by Mr. Ian Jamison, Visa Asia-Pacific Region representative at the function as a "large economical step" for FSM and a "significant step forward for the tourism industry in Micronesia". Having Visa Debit Card at BFSM means allowing its clients access to millions of ATM's in the world and the ability to shop over the internet in a more controlled and assured way. Moreover, having ATM's in the FSM would be a welcoming convenience to card holders visiting or making plans to visting Micronesia for all sorts of purposes. 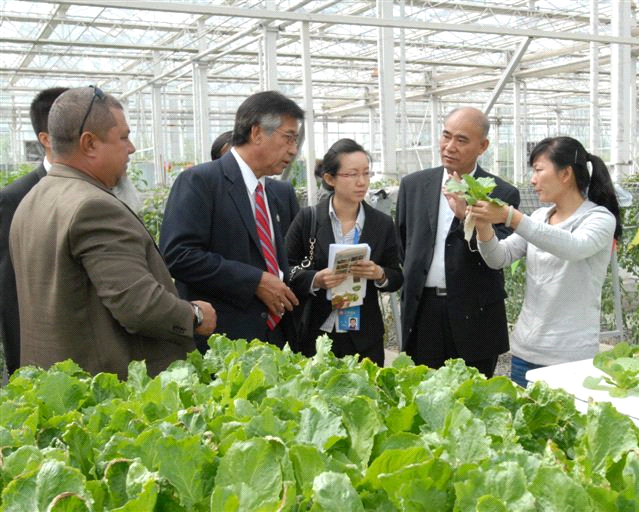 September 11, 2012 (FSM Embassy, Beijing) At the invitation of the Chinese Government, President Emanuel Manny Mori is visiting China to attend the International Investment and Trade Fair in Yinchuan, Ningxia Hui Autonomous Region from 11 to 13 September 2012. The International Fair is a national-level forum for economic and trade exchanges affording participants the opportunities to understand China’s investment and trade policies. It provided the President and his delegation the opportunity to meet with investors from China and other neighboring Asian countries, creating an environment for the FSM to showcase its foreign investment and tourism incentives. 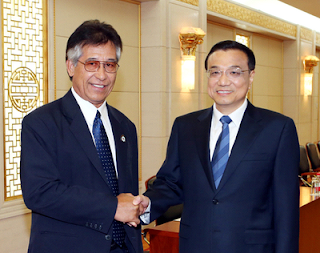 At the margins of the International Trade Fair, President Mori held bilateral talks with Vice Premier Li Keqiang. In honor of the Twenty Third Anniversary of the establishment of diplomatic relations between the Federated States of Micronesia and the People’s Republic of China on September 11, 1989, President Mori extended his congratulations to the Chinese government through the Vice Premier. He also extended his sincere condolences for the loss of lives and extensive damages caused by the earthquake in Yunan Province on September 7, 2012. The bilateral meeting is a reflection of the strong bond of friendship that the two countries enjoy under the FSM-China Model relationship. President Mori extended his congratulations for President Hu Jintao’s leadership and assured the Vice Premier of FSM’s continued commitment and adherence to the “One China” Policy. President Mori expressed his sincere appreciation to Vice Premier Li for China’s contributions to the economic and social development of FSM through the provision of grant aid assistance, scholarships, technical assistance and concessional loan schemes. The FSM hopes for further cooperation with China on some projects which have been identified and will be submitted to the Chinese Government for consideration. President Mori also requested for the Chinese Government’s support towards the execution of an Air Service Agreement to allow Chinese air carriers to provide scheduled air services to the FSM. It is estimated that a direct flight from Shanghai to Yap can be as short as 3.5 hours. In honor of President Mori’s visit, Vice Premier Li Keqiang announced a gratuitous grant in the amount of 40,000,000 RMB from China and hopes that the two sides can decide and implement projects to benefit the people of the FSM. Vice Premier Li complimented the FSM for its tourism potential and responded to President Mori’s invitation with his determination to visit the FSM when his schedule permits. He further expressed his support for the execution of an Air Service Agreement with China and responded positively to President Mori’s interest to acquire a Y-12 aircraft from China. In Yinchuan, President Mori and his delegation toured a vocational college, horticulture farm and other cultural sites. President Manny Mori and President of the Pohnpei’s Farmer’s Association, Mr. Willy Hawley listens to presentation at the Horticulture park. 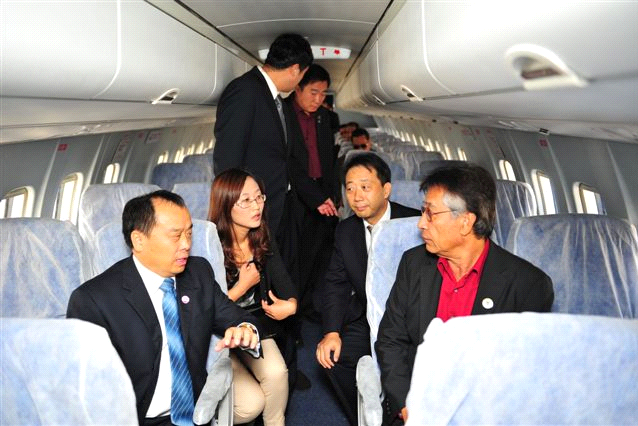 Immediately after the conclusion of the International Trade Fair, President Mori visited the City of Xi’an in Shaanxi Province where he toured the AVIC Aircraft Manufacturing plant and other historical and cultural sites. The FSM and China attach great importance to their relationship and look forward to greater cooperation in the years ahead. Accompanying President Mori to the International Trade Fair were, Deputy Secretary Samson Pretrick, Ambassador Akillino H. Susaia, Governor Johnson Elimo, Lt. Governor Marcelo Peterson, Mayor Pintas Kenneth, First Secretary Vincent Sivas and private sector representatives Mr. Johnny Arnold, Mr. Peter Garamfel, Mr. Willy Hawley, and Mr. Witson Phillip. FSM Information Services (September 20, 2012): A special consultative meeting between President Manny Mori, Vice President Alik L. Alik, Speaker Isaac V. Figir and Members of Congress took place at noon on September 19 at the President’s Conference Room at the request of President Mori. Opening the meeting, President Mori welcomed and thanked Congress for their willingness and went into discussing a few urgent matters. 1. A briefing on current information indicating that the National Government has gone over and above projected domestic revenue to be available for fiscal year 2012 due largely to increases in fisheries revenues and other current activities. 2. Based on the foregoing information, the President solicited for reaction and desire of Congress on how to best utilize such revenues in a manner consistent with stated development plans and goals for the nation, stressing the need to “support the State Governments”. The Leaders exchanged views with comments from Congress voiced by Speaker Figir, Senator Peter M. Christian, Senator Joseph J. Urusemal, Senator Dohsis Halbert and Senator Paliknoa K. Welly in response to the comments and inquiries made by the President. It was agreed that a 5-member working group from both branches be tasked to make recommendations in the shorter-term period for consideration of the Leaders. The President also shared information on his recent trip to China during which he was extended a gratuitous grant of $40,000,000 RMB for projects to be agreed upon by both countries. In closing, the President reinforced earlier invitation for Members to join him at the scheduled meetings with FSM citizens in the United States on his way back from the 67th United Nations General Assembly later this month. For more information, write to markapito@gmail.com. FSM Information Services (September 17, 2012): The FSM National Police opened a finger print laboratory on September 11 at the National Police Office in Palikir. According to Mr. Takasy Reim, Chief of Police, the laboratory is worth approximately $238,000 dollars, consisting of modern finger print identifying and storage technologies that will allow collaborations among law enforcement operations with enhanced capabilities. Chief Reim thanked the Australian Federal Police (AFP), the Pacific Police Development Program (PPDP) and AusAid whose contributions have enable FSM police forces to be the first among the three Micronesian nations to engage in such forensic capacity. Mr. Frank Clair, PPDP Project Coordinator, represented the AFP at the lab opening. He said that the decision to house the lab at the FSM National Police building was made to make the service a “truly national asset” with the understanding that officers from the States will work and train at the lab on a rotational basis to gain experience that will be vital at their own stations and to overall law enforcement practice throughout the FSM. Training at the lab will allow for sharing of finger print information and transfer of data both ways in timely manner. “There was an acknowledgement that crime has changed, and to be effective law enforcement, we have to keep up pace with the advancement that we see in crime. This forensic laboratory is also aimed at that”, Mr. Clair said. Mr. Clair also indicated that AFP crime labs use the same kind of tools as those installed at the lab. This will allow AFP to assist FSM Police on finger print matters should the need arise. Chief Reim looked to having more officers certified and become experts in finger print operations as a result of the lab in addition to the two Pohnpei State Police officers who have been previously certified.